Oracle is committed to Java and has a very well defined proposal for the next version of the Java EE specification. This was the official confirmation from Oracle spokesperson Mike Moeller in his role as veep for marketing communications and global PR. This news comes at a tough time for people trying to ‘still believe’ in Oracle’s plans for the Java language and platform. Rumours of layoffs, a sidelining of the JCP (Java Community Process), lack of investment and a general attitude of abandonment have been circulating for months. 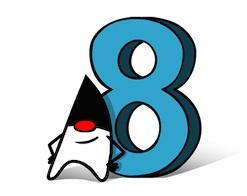 The last time we focused heavily on any Java news was during the launch of Java 8 in March 2014. Al this being said, Oracle has publicly said before now that the company is slimming down Java EE (Enterprise Edition)… but, at the same time, it doesn’t want anyone else to work on Java or Java EE. Java still enjoys a wide level of penetration and support… don’t forget that Apache Hadoop is a Java framework, it has played huge roles in Twitter development and Minecraft, plus it has massive potential for the Internet of Things. Say a little Java prayer, please.